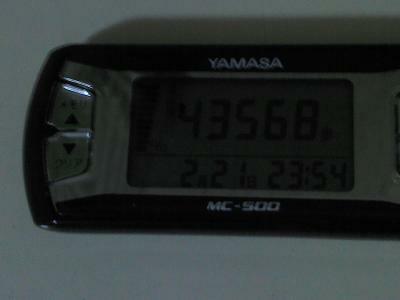 I walked from Yokkaichi to Nagoya. 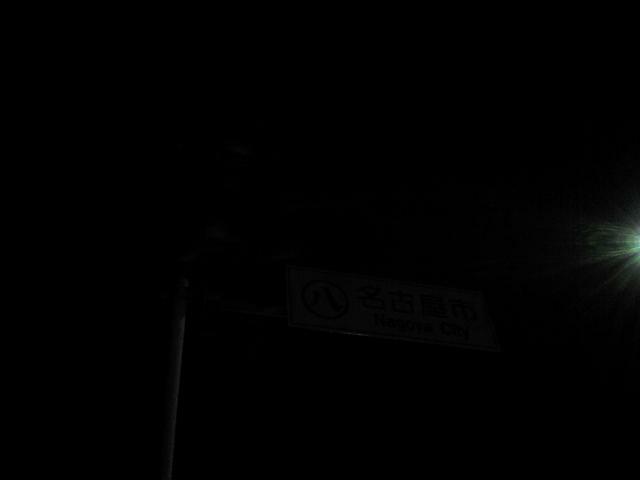 I reached the Third Station (三合目) of Mt. 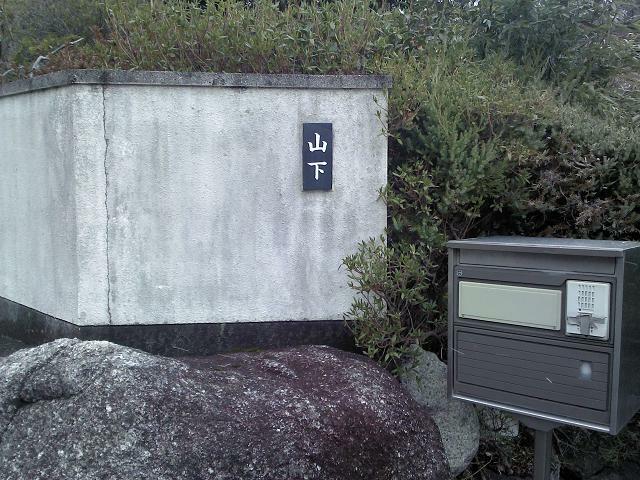 Gozaisho (御在所) on the border of Mie Prefecture and Shiga Prefecture (三重県と滋賀県の県境) but had to turn back before reaching the fourth station; I had an adventure up there, but not a fun one. It was actually quite dangerous. I reached 357,320 steps for the week. Whereas at the end of Week 2, I had been in 2nd place (behind K. James), by the end of Week 3, I had re-taken the lead. However, the lead was a small one — victory was by no means guaranteed. 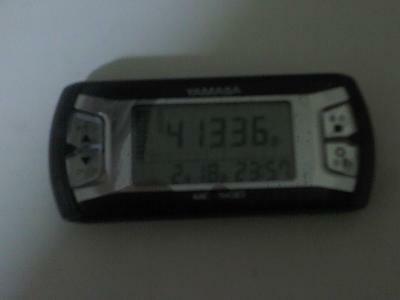 I was able to reach 357,320 steps by doing extensive jogging/walking both before and after work (nearly every hour not spent working was spent walking). At this point, I was generally averaging about 7,000~8,000 steps per hour thanks to jogging bringing up my average, so if I was walking 5~6 hours on a weekday, that would yield ~40,000 steps for that weekday. 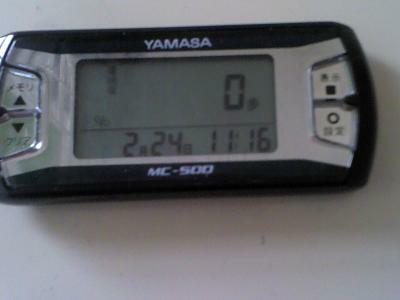 On the weekends, assuming I kept up the same 8K-step-per-hour pace (a more-or-less even mix of walking and jogging), that would be about 7 or 8 hours to get 60K or more steps per day (or more hours than that at a more leisurely pace, which is what I often did). 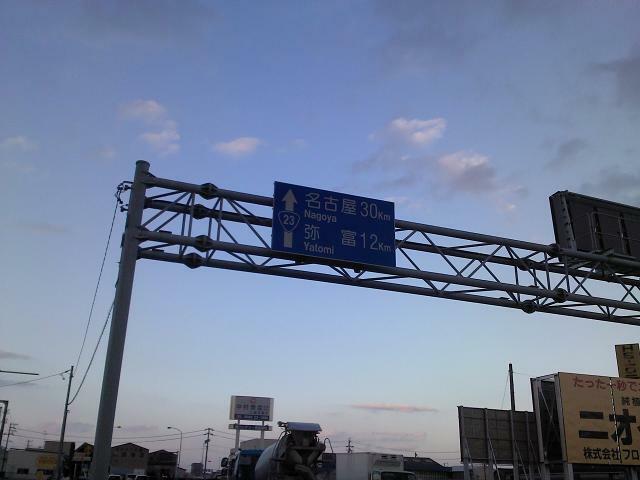 As mentioned previously in Week 1, Yokkaichi is a part of the Nagoya Metropolian Area. However, saying that "Yokkaichi is a suburb of Nagoya" is kind of like saying that "Fairfax is a suburb of Washington, D.C." — well, yes, technically it is, but the distance between the two is quite considerable (29.4 kilometers from Fairfax to Washington, D.C.). 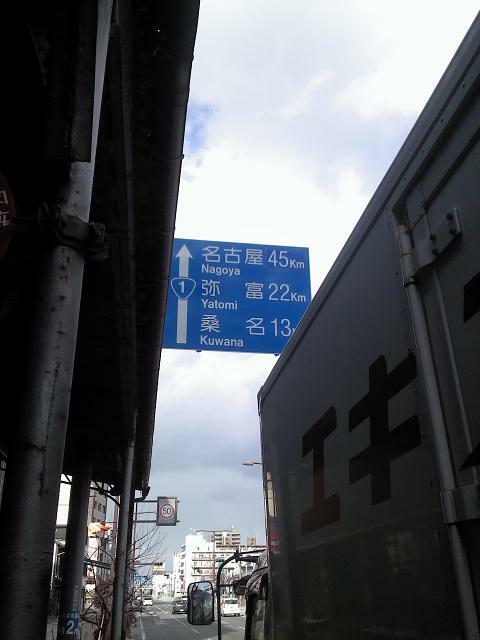 In the case of Yokkaichi/Nagoya, according to this street sign (my starting point in downtown Yokkaichi), the distance is 45 km, so basically, imagine walking to Washington, D.C. from Fairfax, then coming over halfway back, and that's how much walking I did on February 23. The weather was fairly nice, thankfully. 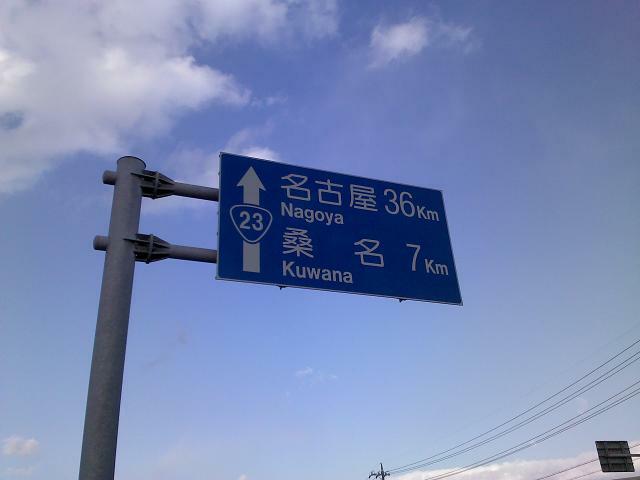 Only 30 km to Nagoya — 1/3 of the way there! I realize this picture is difficult to see. Turning up the contrast on the monitor might help. 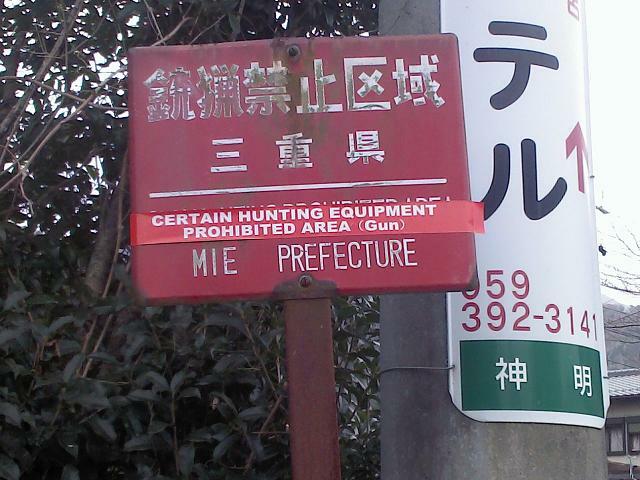 It says "prefectural border" (県境). 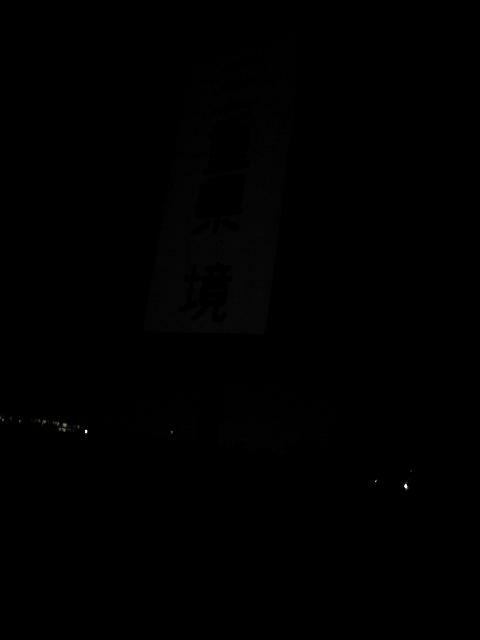 This is the prefectural border between Mie Prefecture (one of the easternmost parts of the Kansai Region) and Aichi Prefecture (one of the westernmost parts of the Chūbu Region). The border is located right smack-dab in the middle of a river. There is a concrete wall in the middle of the river to demarcate the border. 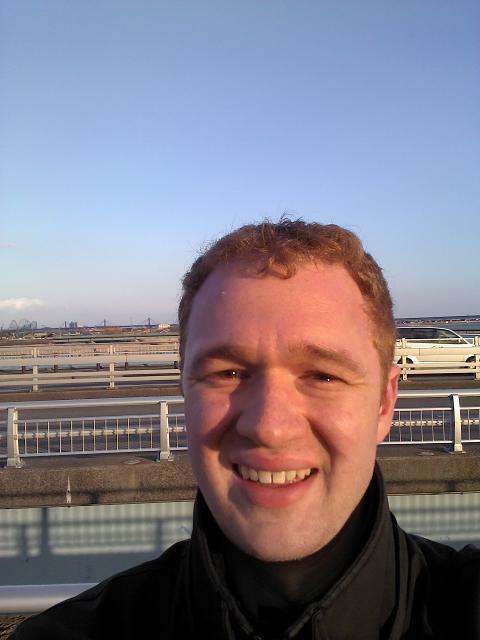 I had never walked this far north from Yokkaichi before. 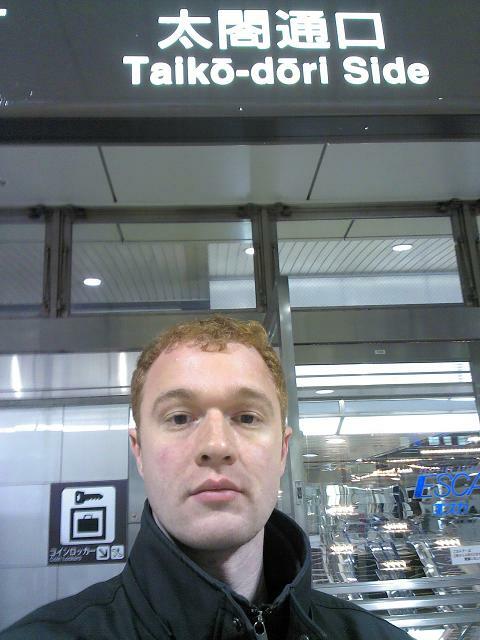 At the time of this writing, I have lived in the Kansai Area of Japan for over two years. On the border of two prefectures in Kansai (Mie Prefecture and Shiga Prefecture), there is a mountain called "Gozaisho," which is famous for its beautiful momiji, or autumn leaves. 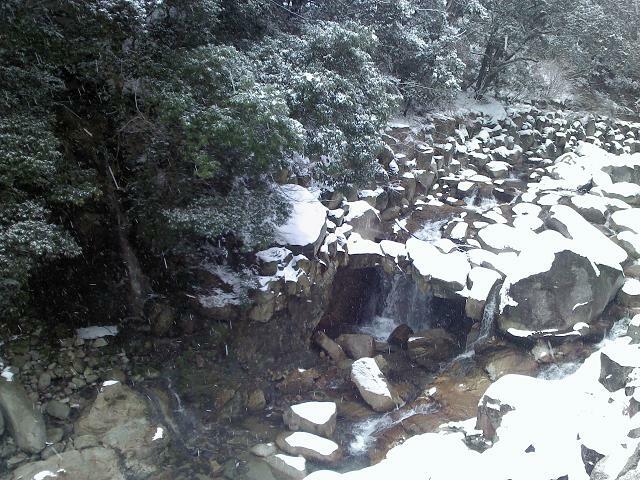 It is also famed for its beautiful winter scenery, and I believe sakura also bloom on the mountain in the spring. 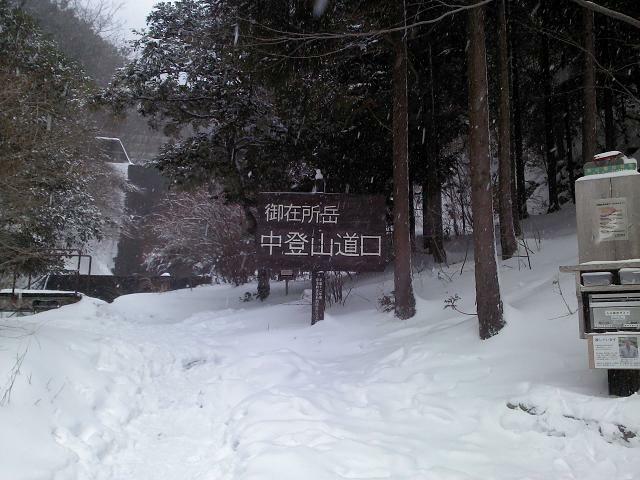 Japanese people love to climb Mt. 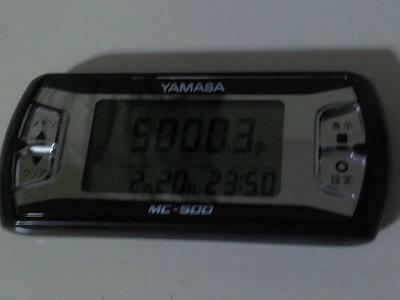 Gozaisho. Eventually, I reached almost 800 m (based on my subsequent climb the next weekend, I'd say I was a stone's throw from the Fourth Station). However, at that point, my hands were already freezing. Several other climbers had told me to turn back. They said that I wouldn't be able to reach the peak and descend before nightfall. 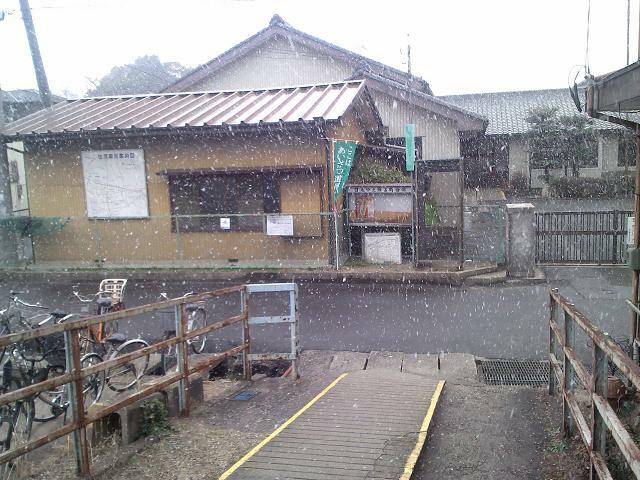 The snowstorm had gotten worse, as well, and high winds were blowing huge clouds of ice crystals off the mountain. I realized somewhere between the Third and Fourth Stations that if I continued to climb, my life might actually be in danger, given the slipperiness and the low temperatures (i.e. a risk of hypothermia). I started to descend. On the way down, something extremely scary happened. I was descending, and I descended into an area that had a great deal of accumulated snow. "This is odd," I thought. At that moment, an obasan (middle-aged woman) appeared and said "That's not the path that goes down!" I called out "Wait for me!" and began to climb back to where I had seen here, but when I got there...she had vanished without a trace! I was absolutely horrified. I looked around everywhere and she was nowhere to be found. Not only that, I couldn't even see any place where she possibly could have gone. And then, with horror, I realized that she might have been a hallucination. I might have hypothermia already. I started to panic. On the way, I managed to take some very crude monkey photographs (they were difficult to take because my hands were so cold, and the monkeys weren't waiting around). Observe that there are two monkeys in this photo. One is obvious. 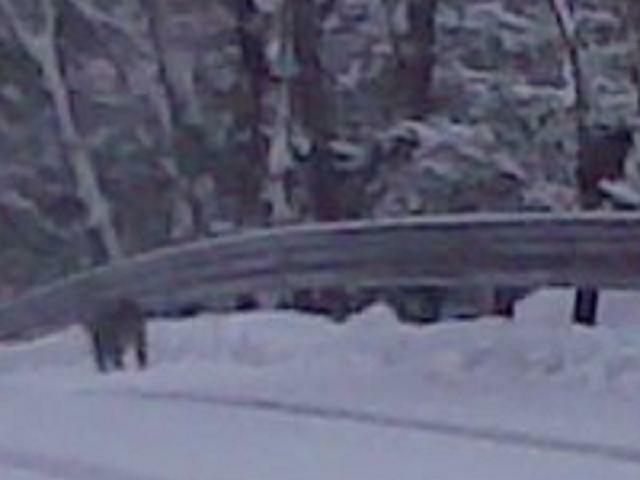 The other is climbing the guard rail on the right part of the picture. Research using Saru Doko Net (a Web site where people report their sightings of monkeys), I'm guessing that this is a hondozaru monkey (Macaca fuscata fuscata). 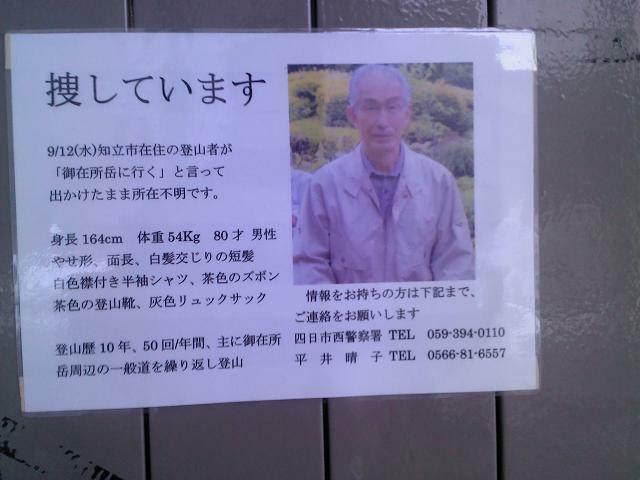 On 9/12 (Wed.) this mountain climber, who lives in Chiryū City, said "I'm going to the peak of Gozaisho," and went out, and as it is, his whereabouts are unknown. The man, who is 164 cm tall and weighs 54 Kg and is 80 years old is thin in form, oval-faced, has short hair mixed with white, a short-sleeved shirt with a white collar attached, brown pants, brown hiking boots, and a gray rucksack. He has ten years of mountain climbing experience, goes climbing 50 times a year, and chiefly repeatedly climbs the regular paths in the vicinity of Mt. 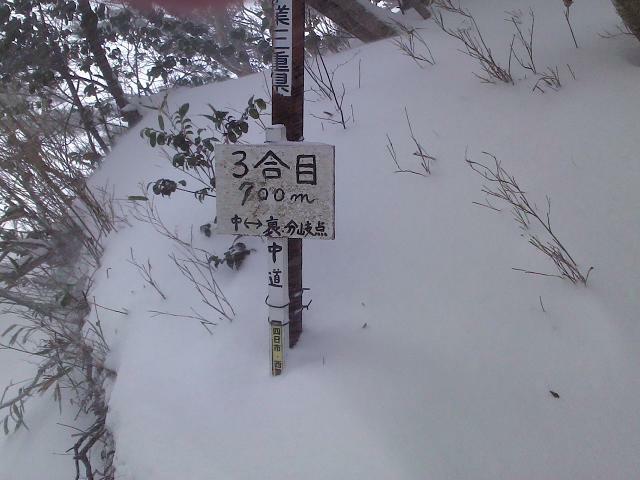 Gozaisho's peak. 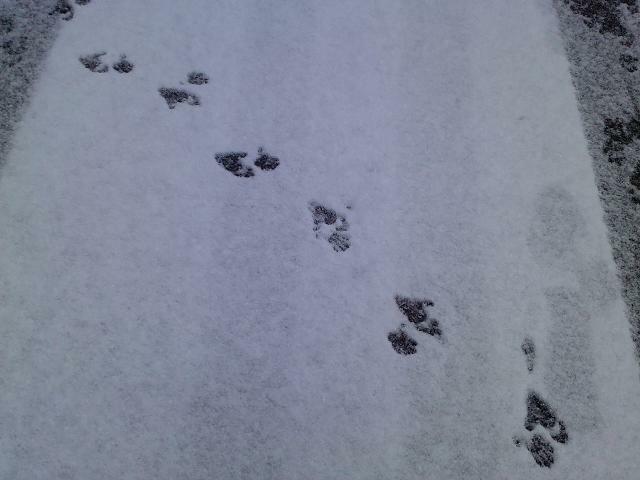 This is what things looked like at the base of the mountain. 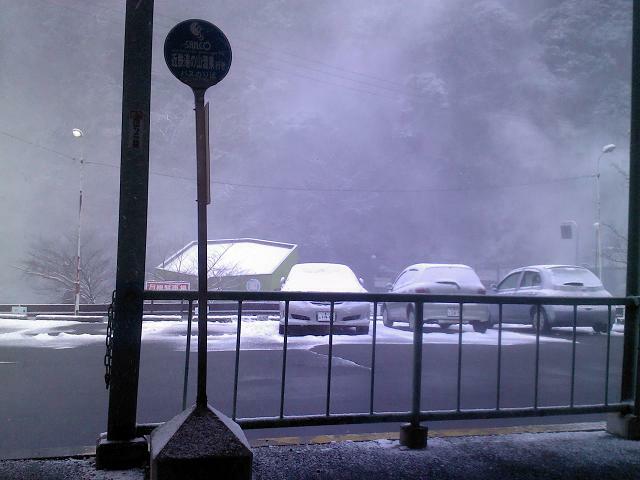 Snow was falling and the high winds were blowing ice crystals off the mountain, decreasing visibility. 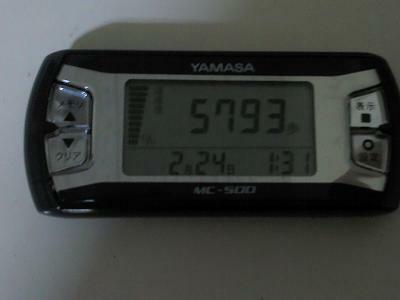 Well, when I arrived back in Yokkaichi, I did a bunch more steps (mostly indoor, in warm malls) both to dry off my soaking wet clothes, and also to get my step total up to 68,886 steps for the day. I had been defeated and even put myself in danger. It was not a day of which I'm proud. I even e-mailed Amanda Morley (the contest organizer) to find out what my original goal had been. I wanted to meet all the contest goals that I had set for myself, but really, really didn't want to have to climb up and down Gozaisho. I wasn't sure what the specific wording of the goal had been. Had it been to simply "ascend" Gozaisho? I could do that on the ropeway easily. Was it to "climb" Gozaisho (with no mention of how the descent should be accomplished)? If so, I could climb up and then take the ropeway down without violating my goal. The next weekend, after spending the whole week worrying about and preparing for the ascent, I tried again... Tune in to Week 4 to see how this went. 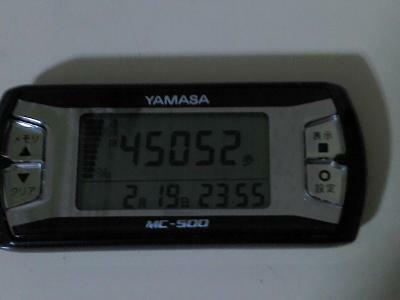 Well, at the end of the week, I had 357,320 steps (including not only the Nagoya and Gozaisho walks, but various walks around town to Kintetsu Yokkaichi Station, Kayo, Matsuya, etc.). I had overtaken K. James, but only slightly, and had put myself in danger during part of that. I would have to be more vigilant in the coming week. Now, on 2/24, I had to do something slightly fancy. 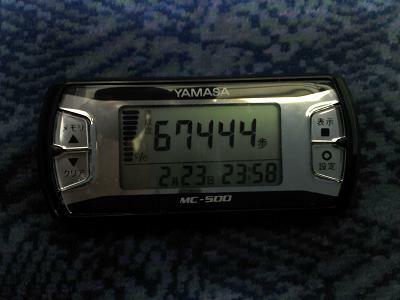 The problem was that I arrived back from Nagoya (at Kintetsu Yokkaichi Station) after midnight, but before my pedometer automatically resets at 2:00 AM. 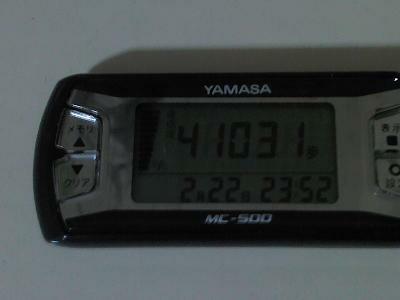 Therefore, I cleared my pedometer around midnight (the beginning of 2/24), then walked home, photographed the step total from Kintetsu Yokkaichi to my apartment (with a bit of extra walking beyond that added in), and then added that step total to the 63,093 from the end of 2/24 to get a total number of steps for 2/24: 68,886. 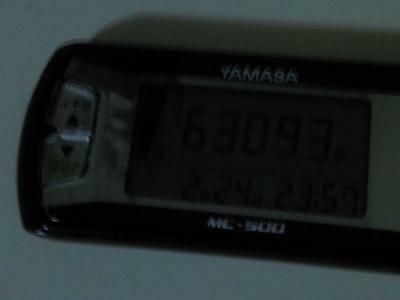 Note the 0 step record from late in the morning of 2/24 to prove that the steps had, indeed, reset during the night.